This is very easy to make, no need to use mixer too. 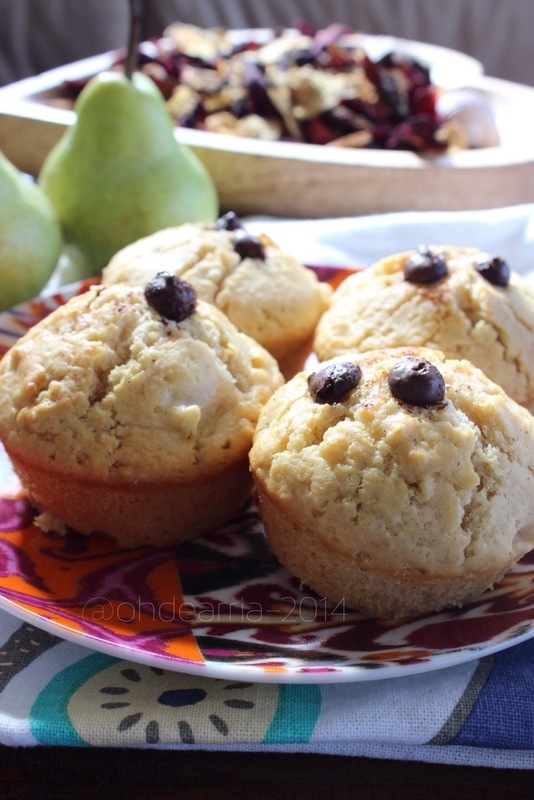 You can use those pears that almost over-ripe too. I just baked this muffin this morning for the boys’ morning snack at school. And yes, it’s good for school lunch box! Preheat oven to 200C or 180C. Lightly grease 12 hole cup muffin pans. Combine flour, baking powder and cinnamon in a bowl. Stir in sugar. Fold through combined egg, milk and oil until just combined. Gently fold through pears. 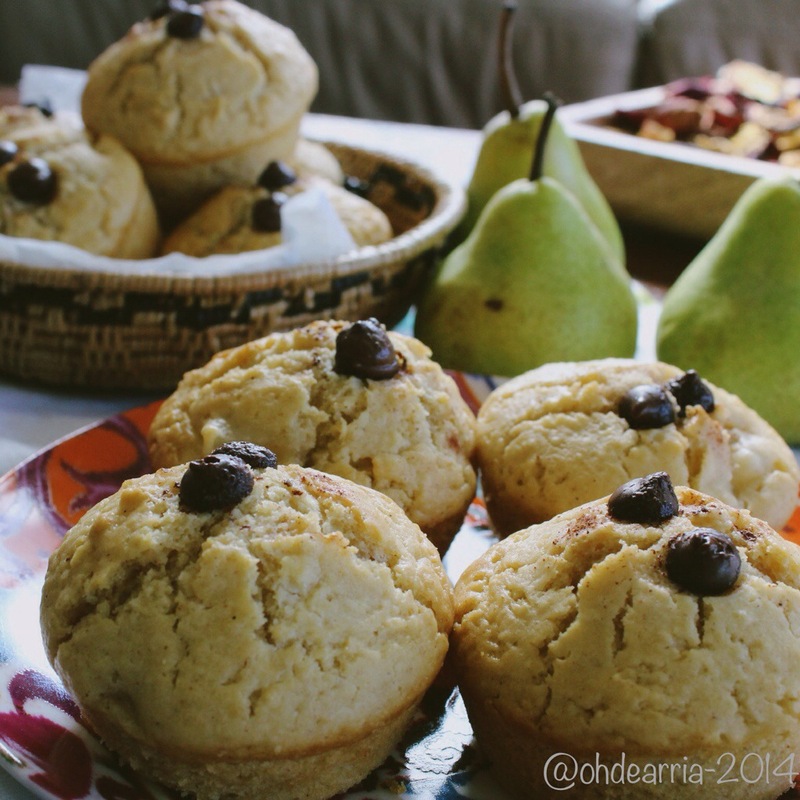 Spoon into prepared pans and top each muffin with chocolate chip (optional). Dust with extra cinnamon and bake for 20 minutes, or until golden. Cool for 5 minutes in pan before turning out onto a wire reack to cool completely. Hi, thanks fir dropping by here😃 It is yummy indeed, especially when it is still warm, fresh from the oven!